The Topolinski group bridges several fields of psychology in investigating the underlying mechanisms of spontaneous judgments, drawing both on social psychological and cognitive theorizing and method. We investigate the impact of processing efficiency (fluency) and affective states on intuitive judgments, stereotyping, semantic priming, creativity, and humor. 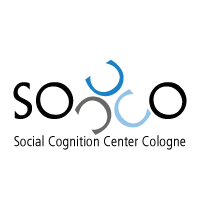 Furthermore, we investigate sensorimotor influences on preference, social impression formation, implicit and explicit memory, as well as consumer choices, branding, and aesthetics. The Topolinsky Group is home to the NRW Grant Digital Trust [Nachwuchforschungsgruppen.NRW 2015-2021].